A fresh and fragrant arrangement of Spring Hyacinths and Dutch Tulips. Each bouquet is complimented with Cerise Carnations and green Pistache to make this a colourful delight. We have also included a Free box of chocolates (your lucky recipient won't know they were free!) with every arrangement. 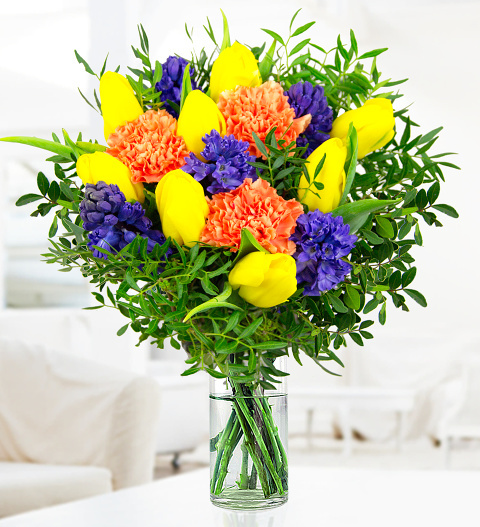 For that special occasion, you can be sure that our Tulip and Hyacinth bouquet will make it all that more special. Chocolates may contain nuts.